On the 24th of September, Jean Eve from the Royal Marsden Cancer Charity came down to the dojo to accept the money that we had raised through our sponsored kata. There were some lovely and emotional speeches from Sensei Roger, Adila Nasser and Jean Eve, and everyone was left feeling touched and inspired. Hopefully, the money we raised will help the charity continue their good work and save even more lives! 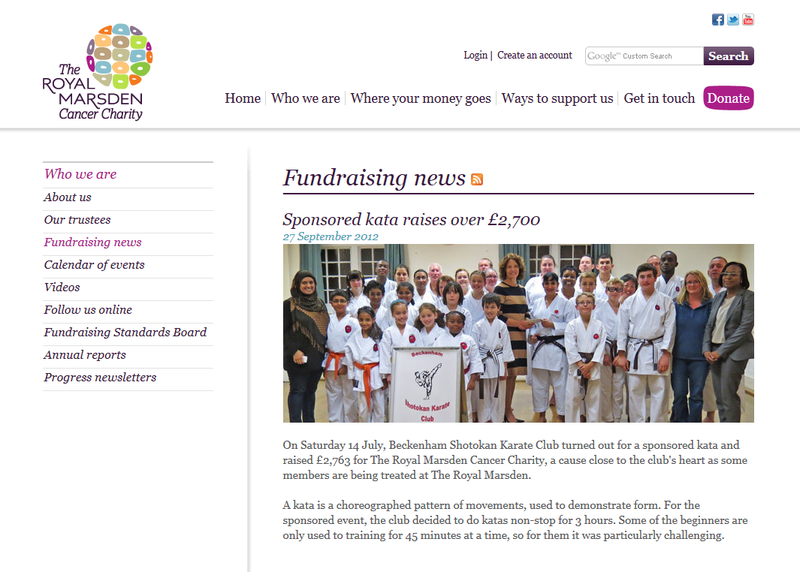 The club’s fundraising efforts have been fratures on the Royal Marsden Website.